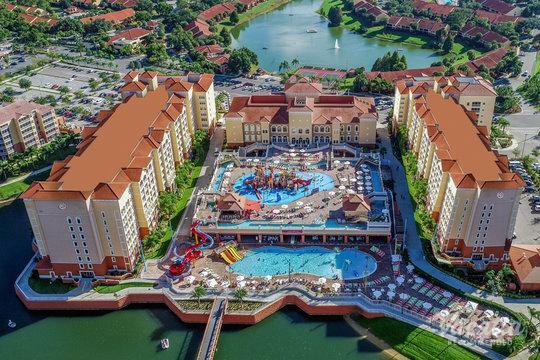 Encircled by Universal Orlando, Walt Disney World and SeaWorld, Marriott's Grande Vista provides endless entertainment. The resort itself offers stunning lakeside vistas and manicured tropical grounds. 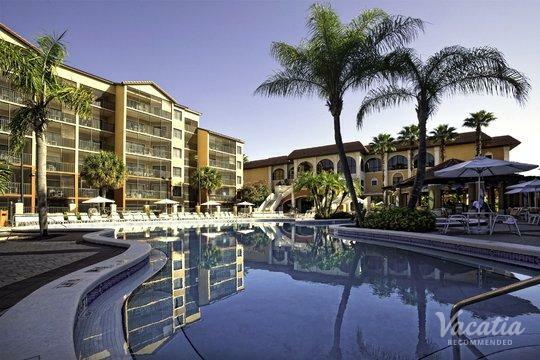 Luxury one-, two- and three-bedroom timeshare villas and guest rooms are available. Residences are handsomely appointed, many of which include a living and dining area and master suite with soaker tub. Accommodations range from king, queen and/or twin beds with a sleeper sofa, a full gourmet kitchen or kitchenette and the option of washer/dryer. 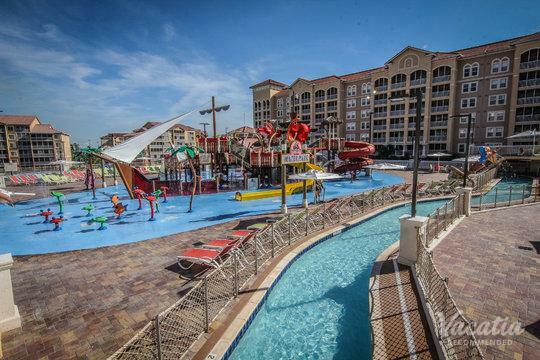 Marriott Grande Vista showcases four swimming pool complexes with hot tubs, steam/sauna; three restaurants, including the MarketPlace store and deli; a state-of-the-art fitness center and tennis courts; children's activities along with bike, paddleboat and fishing equipment rentals. Rejuvenation awaits at the Spa at Grande Vista. A golfer’s utopia, Marriott Grande Vista is flanked by three championship golf courses, including the Grande Pines Golf Club designed by Steve Smyers. Those new to the game or wishing to hone their skills will enjoy access to the renowned, nine-hole Faldo Golf Institute by Marriott. Rentals and practice facilities, as well as lessons from certified pro-instructors are available.